It is the biggest derby in German football. 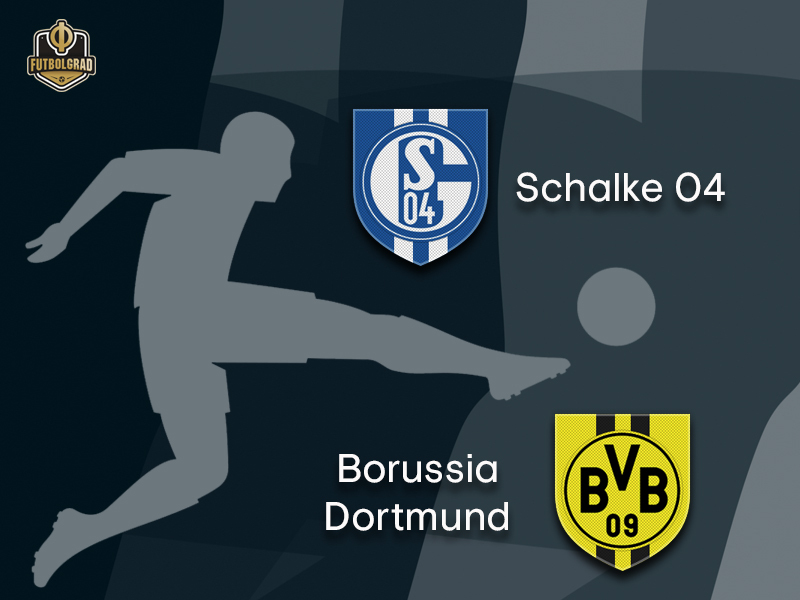 On Saturday Schalke will host Borussia Dortmund for the 174th edition of the Revierderby. For Schalke, it is a match that that could fix an already broken season. Starting with five defeats in the first five games die Knappen may have somewhat recovered from their poor start to the season but after finishing second behind Bayern last season 12th spot in the table with 14 points from 13 games is a bit of a disappointment. A disappointment that no-one in Gelsenkirchen thought would be possible after Schalke defeated Dortmund in the last Revierderby on April 15. Schalke finished last season eight points ahead of Dortmund. “The derby can change the atmosphere at the club, in one way or another,” Schalke sporting director Christian Heidel explained this week. “It is clear, who the favourites are. Dortmund have not lost a game yet this season, and we would like to be the first to beat them,” Heidel added. The question is how? Head coach Domenico Tedesco has struggled to cultivate a Schalke side that played a result-oriented style of football last season. Trying to play more beautiful football, however, ended with Schalke losing the first five games of the season. As a result, Tedesco has escaped back to his more pragmatic defensive approach which has led to more stability and positive results both in the Bundesliga and the Champions League. Travel to Germany and watch the Revierderby live! Book your European football travel now by visiting Nickes.com! Schalke’s biggest problem? Scoring goals. Schalke have averaged just 1,08 goals per game this season and converted just 21.5% of their chances. Attacking players like Breel Embolo, Yevhen Konoplyanka, Cedric Teuchert, Mark Uth, Steven Skrzybski, and Franco di Santo have been either out of form, hurt or both. Even Guido Burgstaller, usually mister reliable, has managed just two goals in 13 games this season. As a result, Domenico Tedesco is now toying with the thought of converting Weston McKennie from a midfielder to a striker for the game against Dortmund (see below). All of that is not good news for Schalke fans ahead of the game against Dortmund. Perhaps the only positive is that Dortmund have struggled against teams playing with five in the back this season. But Tedesco seems unlikely to field an overly defensive line-up against Dortmund (see below). That, in turn, might be good news for Dortmund head coach Lucien Favre and all Dortmund fans, who were worried that Schalke parking the bus could lead to a similar game like it has been the case against Mainz and Brugge in recent weeks. Nine points clear on top of the table there is no doubt that Dortmund are heading into this match as the clear-cut favourites. Furthermore, the Black and Yellows want to make up for the 4-4 draw, where they gave up a 4-0 lead in 45 minutes, one year ago, and even more importantly, the 2-0 defeat to Schalke on April 15. Since then, however, seven months have past and Dortmund are now the most effective attacking team in the league converting 43.5% of their chances. On average Dortmund have scored 2.85 goals per game this season. More importantly, however, Favre has also shut down Dortmund’s defence, and after conceding 1.4 goals on average last season, Dortmund have conceded just 0.9 goals on average this season. “Up front, we can always make a difference thanks to the depth in quality we have in attack,” the head of BVB’s licencing department Sebastian Kehl explained this week. In Paco Alcacer, who together with Frankfurt’s Luka Jović leads the league in scoring with ten goals, and Marco Reus (nine goals) Dortmund have two of the best goalscorers in the league. Reus also is second in scoring with 16 points. Nonetheless, Paco Alcacer is likely to start from the bench once again. Up front, Dortmund are expected to start with Mario Götze, who has been sharing the attacking duties with the Spaniard. Overall, Favre seems to prefer having the Spaniard coming off the bench at a point when the opponent’s defensive lines have been softened by Dortmund’s attacks. Another player, who will likely come from the bench is American Christian Pulisic, who has struggled with injuries and form as he does not seem to fit in well with Lucien Favre‘s overall tactical approach. Like Paco Alcacer, Pulisic, however, could be an option in the second half should Schalke’s defensive formation keep Dortmund from scoring. That depth from the bench, in fact, could make the difference in this one as Favre will likely use the full repertoire of his squad to decode Schalke and secure all three points for the Black and Yellows on Saturday afternoon. With Schalke running out of strikers Domenico Tedesco may be forced to converting midfielder Weston McKennie to a forward. The US men’s national team player scored his first ever goal for Schalke on October 3, 2018, against Lokomotiv Moscow in the Champions League. Just three days later he scored against Fortuna Düsseldorf. Athletic and quick McKennie used to play as a running back in American Football, which makes the American a difficult player to track for defenders. 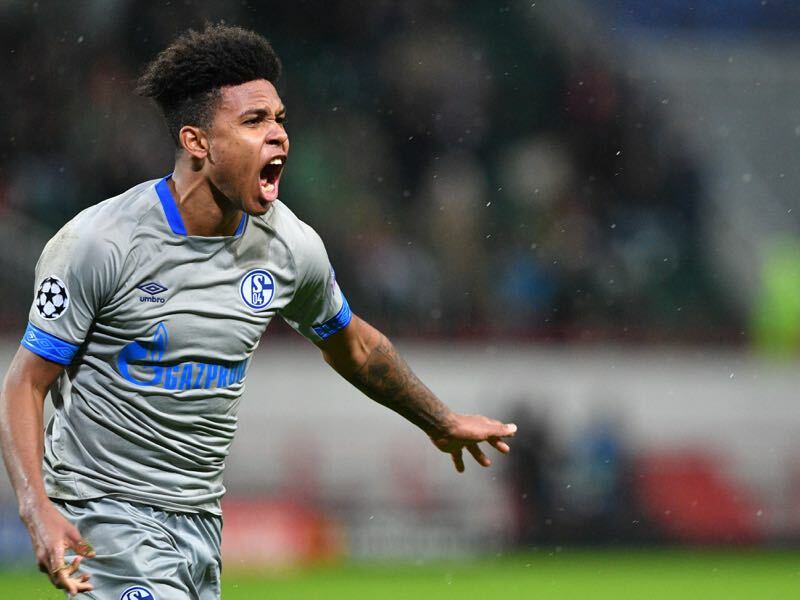 McKennie certainly has a goalscoring instinct managing to direct 65.9% of his shots on target the midfielder, however, needs to learn to shoot more often to become more dangerous – he has averaged just 0.44 shots per game this season. With an xG of 0.12 McKennie also does not have the numbers to operate as a striker. But these are desperate times for a Schalke side running out of attacking options, and as a result, Tedesco is almost forced to gamble when it comes to fielding McKennie up front. Axel Witsel has been critical to the system operated by Lucien Favre. Striking up a crucial partnership with Dane Thomas Delaney Witsel has been one of the best midfielders in Europe this season. Against Freiburg on matchday 13 Witsel, in fact, showed his full ability. The midfielder had 69 touches of the ball and won 100% of his challenges in the first half alone – to put this in perspective Freiburg had averaged just 28 touches overall. By the time the dust settled Witsel had completed 125 of his 128 passes (98%) and completed 139 of 160 actions throughout the game successfully. In general, Witsel has managed to complete 79.4% of his 94.38 actions per game on average this season. 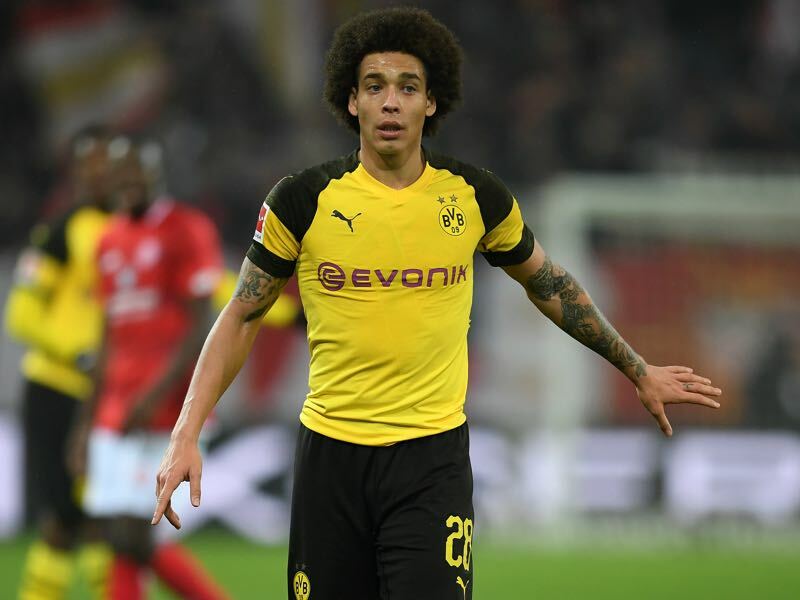 With a pass accuracy of 94.6% in the Bundesliga there is no doubt that Witsel has been the missing piece in Dortmund’s puzzle ahead of the season and should Dortmund win this game and eventually the title there will be no second guessing when it comes to what is likely the transfer of the year in perhaps all of Europe. This is the 174th edition of the Revierderby. Schalke have won 69, Dortmund 59 and on 45 occasions the game has ended in a draw for an overall goal record of 335-289 in favour of Schalke. Dortmund have collected 13 points after going down by a goal, or more, the most in the league. Schalke, however, have never dropped points this season after taking a lead. Schalke are first in the league with 275 dribblings, followed by Borussia Dortmund 264 dribblings. 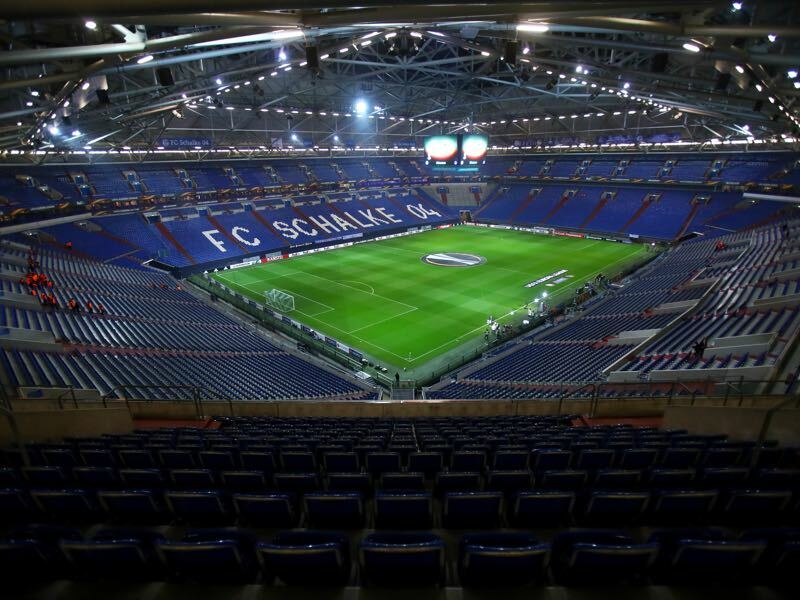 Schalke’s record at home against Dortmund is: W20 D14 L12.